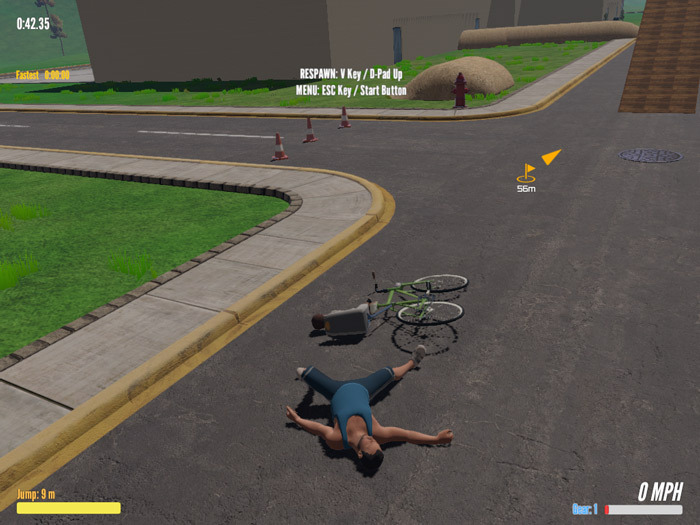 "An incredibly fun but very gory cycling game!" 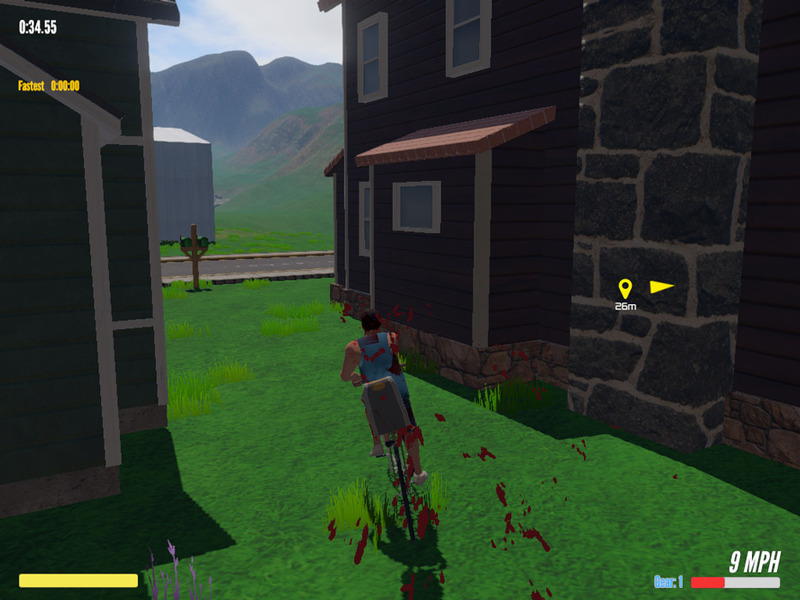 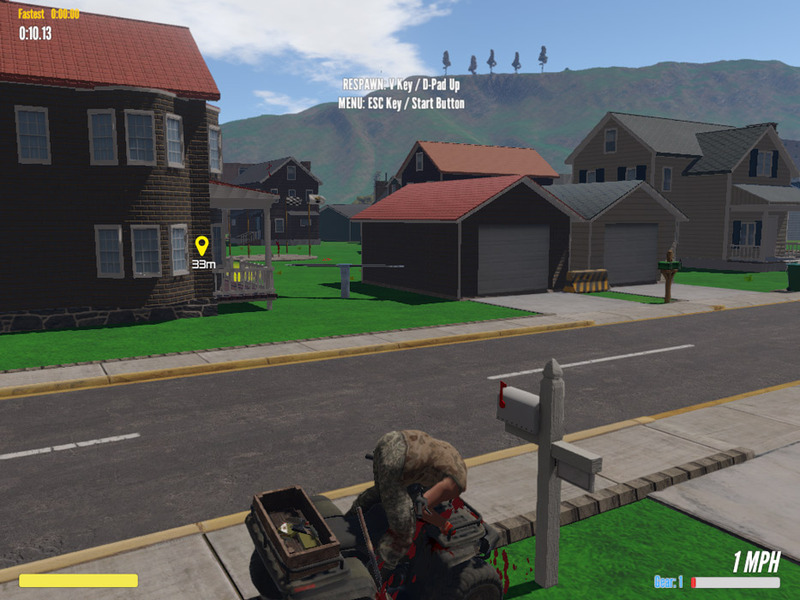 Guts and Glory is a physics based cycling game, there may be other vehicles available in the future but for now the only character available is John and his son Jimmy who rides on the child seat on the back of his bike well this is not going to be any normal bike ride. 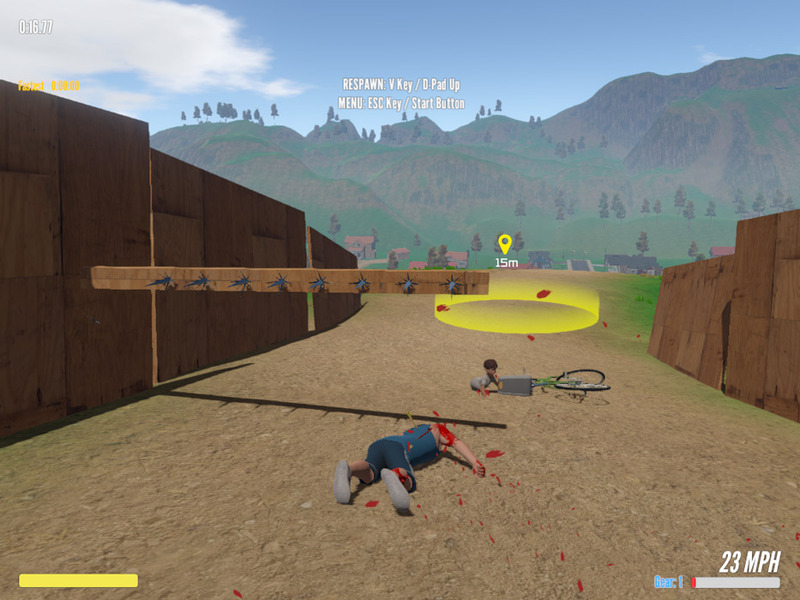 The falls are hilarious and as you progress obstacles start to be put in your way such as buzz saws which provide a horrific and hilarious death to you and your son, there is a few different race tracks available and they each get a little more crazy as you get further in to the game you start to be shot at while trying to ride your bike and one of the courses includes not just being shot at but having bombs thrown at you along with having to avoid the buzz saws! 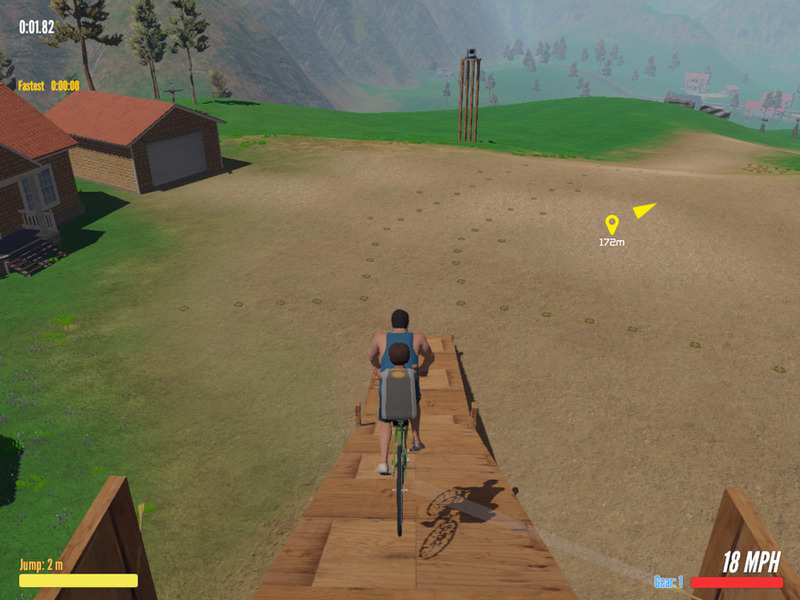 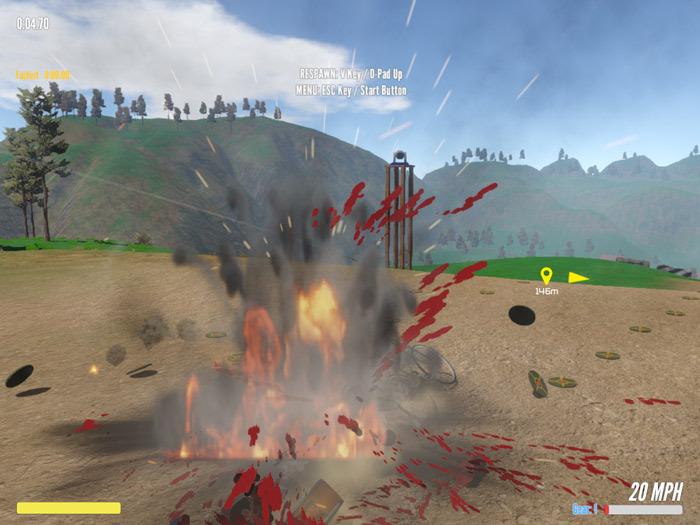 Guts and Glory is not a realistic game in any way but it is a lot of fun, the falls from the bike and the physics of the game will have you laughing out loud, the game is very reminiscent of Happy Wheels although Guts and Glory is not as complete it is a better looking game. 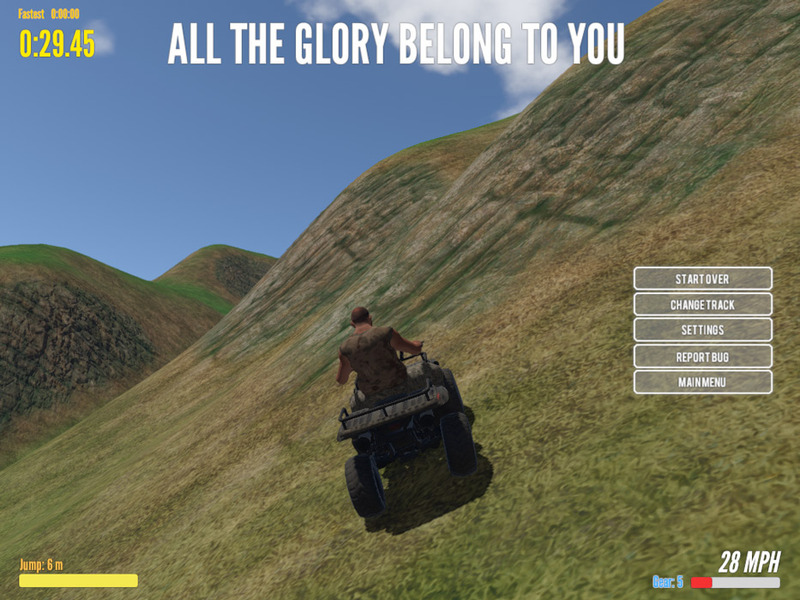 This is currently the pre-alpha build and it’s very exciting to see what may be in future for it with the other couple of characters being shown in the game but not yet playable it will be very interesting to try this game in a car or on a quad bike. 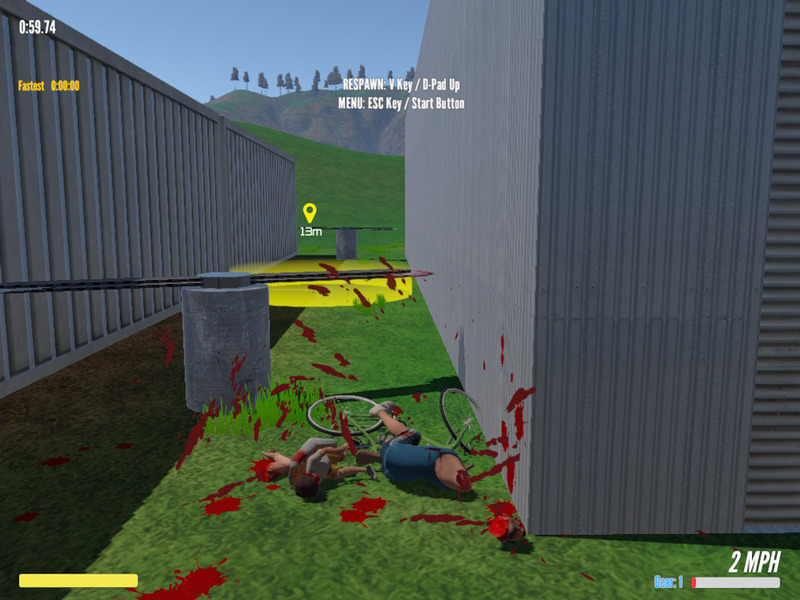 Guts and Glory is a fun, funny and very gory game and you should play it now, you can download it for free here.